Compatible with: iPad 2, iPad 3, iPad 4. Each Bezel has Adhesive Pre installed. Repair/Replacing old, broken, Bezel. Color: White. 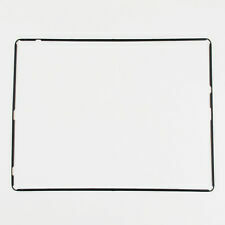 Second, the iPad 2 Digitizer Flex Cable Ribbon is shaped like a trapezoid, while the iPad Digitizer ribbon has a rectangular shape. TypeLCD Digitizer. There are a few differences between the iPad 2 Digitizer Touch Screen Assembly and that of the first generation iPad. Compatible with: iPad 2, iPad 3,iPad 4. New Plastic bezel WHITE. Each Bezel has Adhesive Pre installed. Repair/Replacing old, broken, Bezel. Friendly Reminder:Special skill and techniques required for proper installation. We repair apple logic board also ,We have fixed a lot of laptop logic board which have been failed from other repair centers ,Give your laptop a chance to reborn ,and give us a chance to serve you ! iPad 2 ipad 3 Black LCD Screen Rubber Padding Cushion Ring. IPad 2 A1395 A1396 A1397. iPad 3 A1416 A1430 A1403. iPad 4 A1458 A1459 A1460. iPad 2 (Wi-Fi Only). iPad 2 (Wi-Fi Only, iPad2,4). 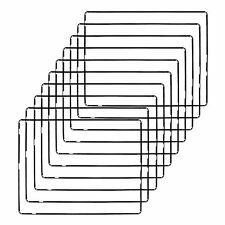 Tool For Apple 13.3" A1278 / 15.4" A1286 / 17" A1297 Unibody MacBook Pro, iMac, iPad, iPhone LCD Glass Disassemble. IPad 2 A1395 A1396 A1397. Ship in Same Day,2-5 Days Delivered,60 Days Warranty . Apple iPad 2 A1395 A1396. with pre-installed adhesive. We might require you to send us photo/s of the item received and also your original item so we can compare and conduct necessary actions. pick - up is not allowed . 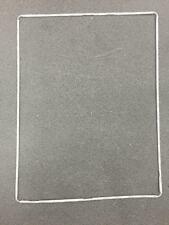 This item is compatible with the AppleiPad 2 2nd A1395, A1396, A1397,A1395. 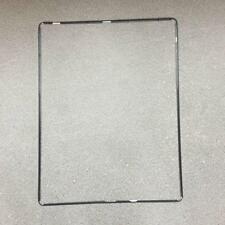 1- iPad 2 2nd Gen LCD/Digitizer Assembly only. We are Located in Tampa Florida. Compatible with iPad 2/3/4. Material: Plastic. Color: Black. Detail Image. We will try our best to reduce the risk of the custom duties. Same Day!!! USA Shipper!!! A+++ Quality!!! 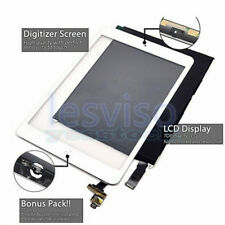 Package Includes: 1 x LCD display screen For iPad 2 A1395 A1396 A1397 1 x Installing Tool Kit (The tool kit is for free, not accept exchange or refund) Description: .